Finally, Facebook Timeline is here, Last week we had discussed the availability of Facebook Timeline feature for Facebook users in New Zealand only but now Facebook Timeline is available worldwide and Facebook has already rolled out majority of user profiles with Facebook Timeline for initial testing. Facebook Timeline is Facebook’s one of the biggest update of Facebook in this year, it’s not only provide you a whole new look and experience but also provides you your whole life details sorted yearly. Facebook Timeline is not only available for desktop browser experience but as well as it’s available on the mobile web site, m.facebook.com. Once user upgraded to Facebook Timeline their timelines will be visible only to them for seven days, giving them time to review the information and photos they are sharing. People can feature something in their timeline or delete it from the page during the privacy period. Facebook users can also choose to make their Timeline public before the seven days run out. If they do nothing, the Timeline goes public after that seven day privacy period. 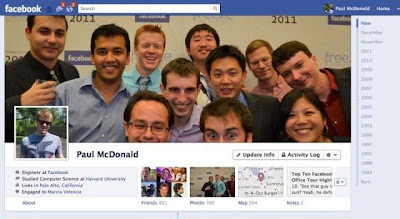 How to Activate Facebook Timeline? If you have missed the invitation of trying all new Facebook Timeline from Facebook than you won't have to worry, you can still try and experience Timeline by just clicking here. Visit the official Facebook timeline page and click on Get Timeline button, your profile will be automatically switch to the Facebook Timeline and will replaced old one. How to Revoke/Off Facebook Timeline? Once you click “Get Timeline,” you will have seven days to review everything that appears on your timeline before anyone else can see it.